Siem Reap, a town close to Thai border in Cambodia is hosting one of the most important Unesco World Heritage sites. 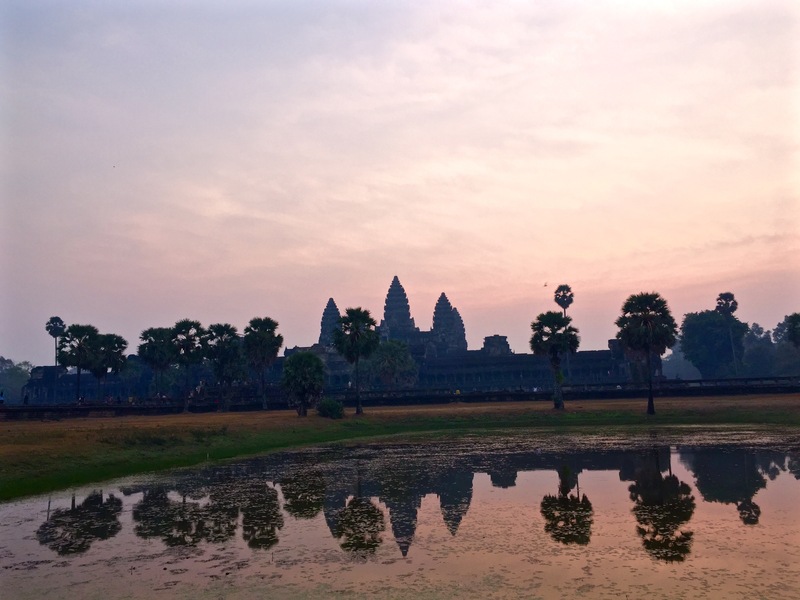 Every year approximately two millions of visitors wake up before the day to watch the sunrise from Angkor Wat temple and becoming a participant of a silent competition among those who wish to have the best picture from the best possible spot. 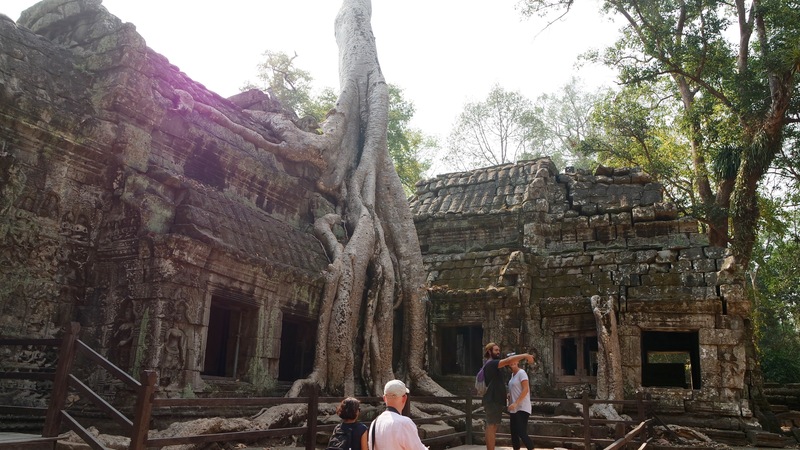 Especially after Ta Phrom Temple being used as one of the settings in Angelina Jolie’s famous Lara Croft – Tomb Raider movie, Angkor Wat site gained huge popularity. Angkor Wat, the ancient capital of Cambodia between 9th to 15th centuries and spread to a 400km2 area has many temples from the small to large scales. 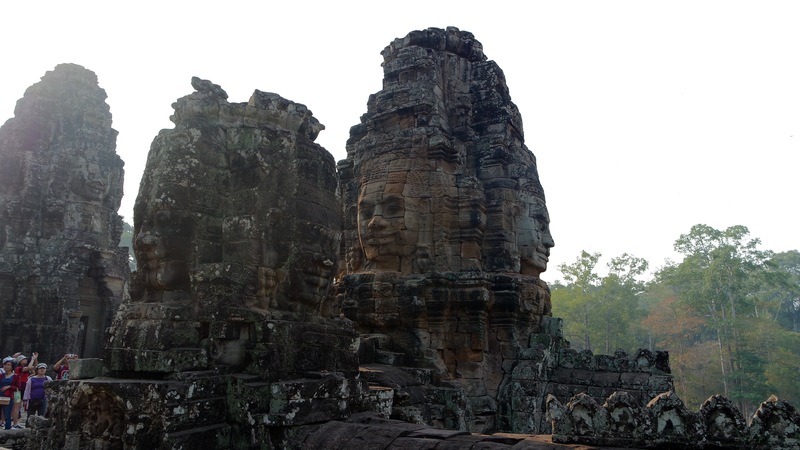 Angkor Thom, Bayon and Ta Phrom can be counted as the major ones. In order to reach Siem Reap, it takes a 10 minutes tuktuk drive. Since the distances between the temples are far, the most logical option is hire a tuktuk driver for the day which costs around 15 usd. If you can ride a motorbike, you can also rent one for 5 usd and save on the cost. Khmer Rouge’s actions has dragged country in conflict, fear and blood during the their ruling era 1974-1979. The story resembles very much like a horror movie. Pol Pot who is determined to turn Cambodia to a agriculture community first evacuates the cities and forces the people who used to live those areas to immigrate to rural parts of the country. The citizens had to work in the now nationalized fields in return of food only. Soon after Pol Pot and his close circle have started to arrest or kill anyone whose job or existance seems unnecessary to this new built society. Lawyers, doctors, academics and all the intellectual population of the country have been arrested one by one and share a gruesome faith after being accused to have connections to CIA. 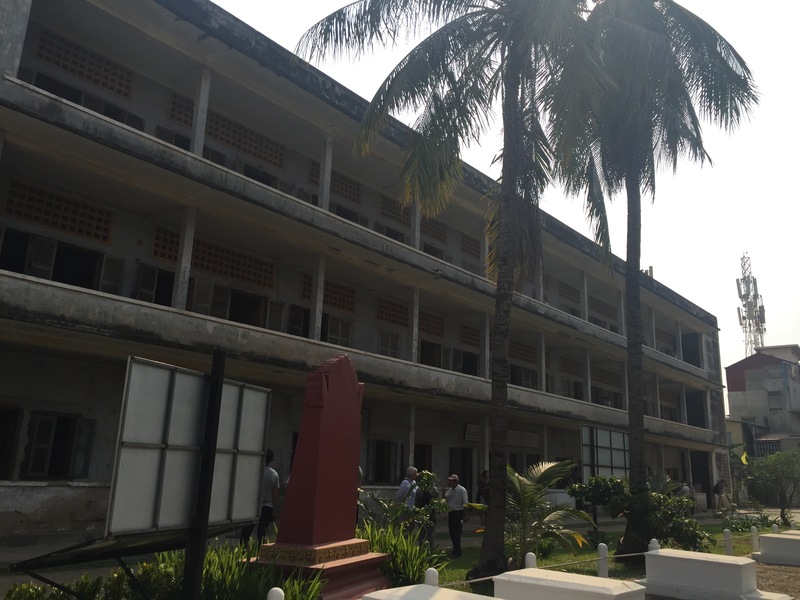 Tuol Sleng’s main building which used to be a high school before being turned into a secret prison. Later the arrests includes anyone suspected being a CIA agent. In 4 years approx. 2 million people have become the victims of the Khmer Rouge administration. This massacre only was found with the invasion of Vietnam in 1979. As the secret prisons and mass graves were uncovered one by one, the sum of the 4 years spent behind the closed doors start to emerge from the ground. When you visit Tuol Sleng- S21 Museum, one of those secret prisons during Khmer Rouge era and the Killing Fields, a mass grave discovered only 15 kilometers outside the capital Phnom Penh, your sense of reality gets distorted. Unable to comprehend what has happened those places, sometimes it feels like walking inside a movie set. Nevertheless, everything you see and hear has really happened unfortunately. Just to be able to witness this dark page of the world’s history makes a visit to Cambodia worthwhile itself. When said Cambodia, no one thinks about beaches when there is Thailand just next door. Well, compared to Thai beaches which are mostly over crowded and over touristic, Cambodia’s untouched natural beauties are waiting to be discovered. 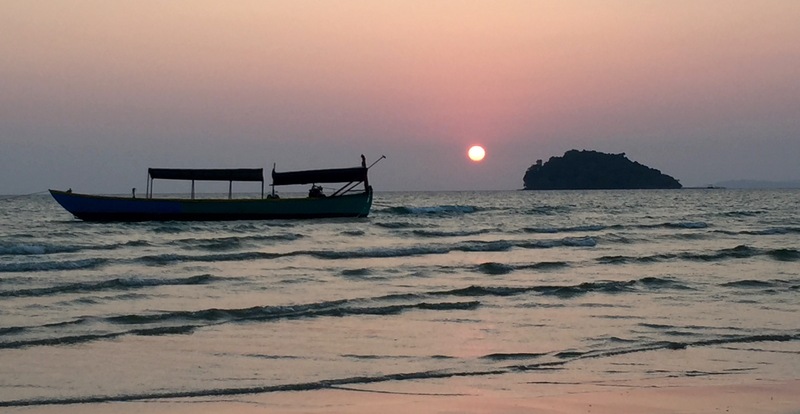 Serendipity, Victory and Otres Beaches, Koh Rong and Koh Rong Samluem islands are promising great times to beach bums. 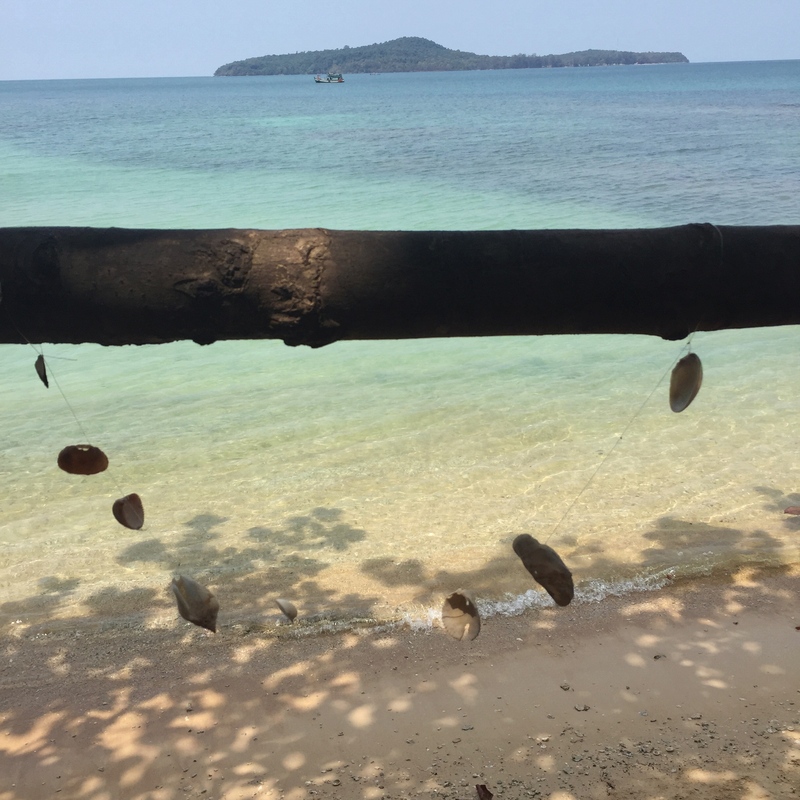 If you are into something even more untouched then Koh Takiev, an island with no internet or Rabbit island near Kep which only has electricity between 18:00-22:00 are just for you. Cambodia’s small towns located along the riverside are ideal to rest and catch your breath for a few days. You can go to Siem Reap where Angor Wat is located or to Kampot and Kep, quiet and lovely towns only 2-3 hours away from Sihanoukville. . 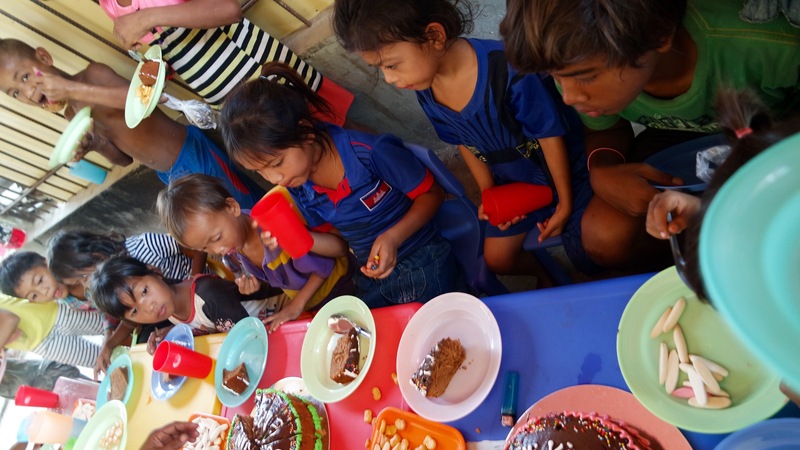 In Cambodia, it is quite possible to find food and accomodation with reasonable prices. 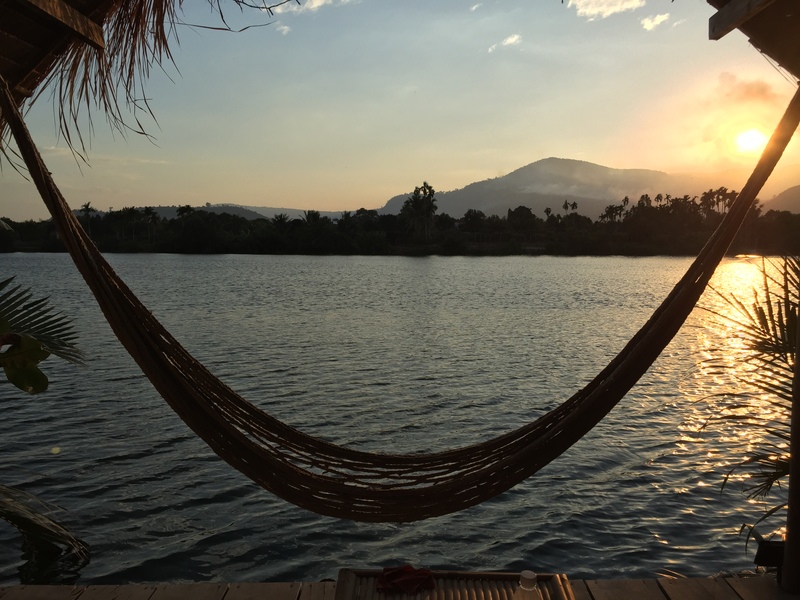 Even though the minimum daily price for a decent room goes up to 20 USD by the sea, you can find really good places around 10 USD in areas like Phnom Penh, Seam Ream and Kampot. The bill will be around 5 USD in a western restaurant but if you prefer Khmer restaurants and street food you can lower your costs as low as 1 USD. The official currency of Cambodia is Riel but USD is the unofficial valid currency in the country. 1 USD equals to 4000 Riels and unfortunately it is used for change. For example if you are supposed to pay 1,5 USD, you make the payment by giving a 1 Dollar bill and 2000 Riels. 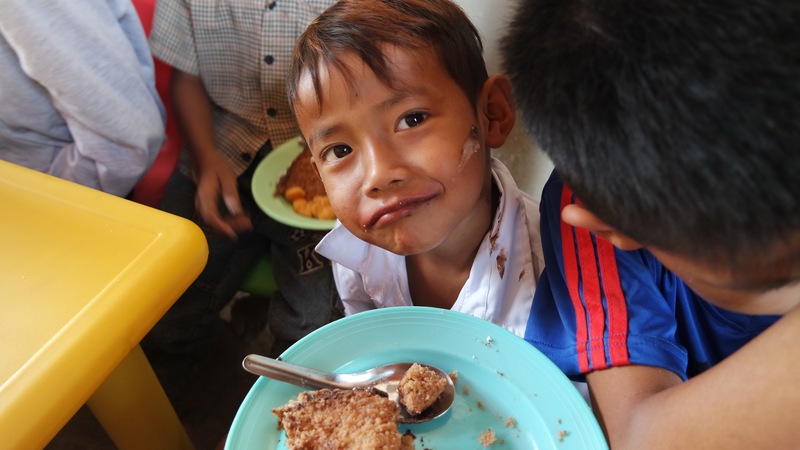 Ayn, who relocated herself from Istanbul to Cambodia upon an article she read about the dire situations here has opened a soup kitchen that feeds a whole village of 300 people daily. She likes to call the soupkitchen as “living fields” referring to the killing fields which is right across the facilities. Her door is open to travelers all around the world and she was even willing to feed me with Turkish food which I was craving for such a long a time, on top of the village she feeds every single day. After so many months I was able to eat the traditional semolina halva made by her mighty hands. I was deeply moved when I visited the soup kitchen. Ayn is like a mother to 70-80 kids. Her mission out there is admirable.